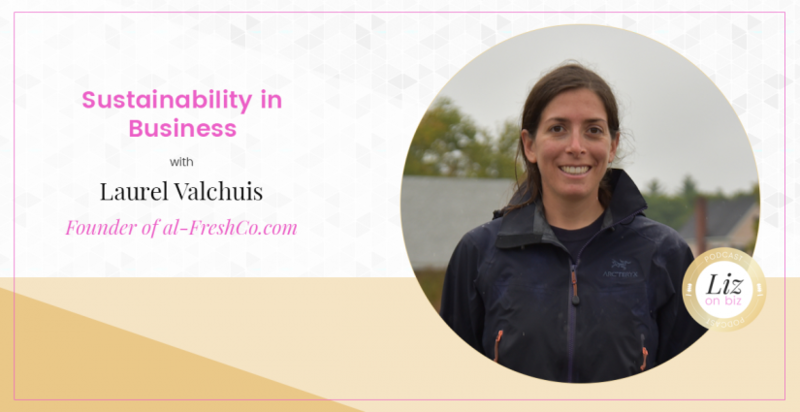 al FreshCo was first imagined while Laurel Valchuis was working on an organic vegetable farm in Ireland, where the farmer week after week was finding herself swimming in extra vegetables due to a great growing season. CSA customers didn’t know what to do with all the Kohl Rabi, and were at a loss for how else to prepare zucchini. Not wanting to see this beautiful produce go to waste, Laurel began making meal kits and selling them at the local farmers’ market. Meal kits include washed and chopped, freshly harvested vegetables, and all the other components to cook a complete meal- just follow a few simple instructions, and you have a farm fresh meal in 20-30 minutes. Upon returning home to Boston, Laurel officially started al FreshCo, partnering with great local farmers to bring ready-to-cook meal kits to her customers each week via bicycle. Laurel and her team are committed to building a resilient food system where more people can eat delicious, healthy food, grown by local farmers, conveniently, and where those farmers have a consistent market for their produce. Laurel started her career in agribusiness consulting, where she learned about the global soya and corn trades, and then went on to study Community Development and Applied Economics in agriculture, publishing work in the Journal of Hunger and Environmental Nutrition on issues related to food access entitled Stacking Beliefs in the Alternative Food System. She lived in East Africa, where she worked with small-holder farmers in Zambia to market their crops. She’s been a vegetable farmer in Tanzania, Vermont, New Hampshire and Ireland, and worked on an oyster farm. In addition to running al FreshCo with her awesome crew, she also works as a farm hand for one of the farmers who supplied much of the food for al FreshCo. [6:28] She was the one person doing EVERYTHING in her business in the beginning! [13:09] Have her employees ever felt overwhelmed? [14:20] Laurel is STILL a part of the business! [25:37] Do they know if their customers are vegan or not?